Our Pediatric Transport Service provides inter-hospital ground transportation for critically ill or injured children in the community surrounding Beacon Children’s Hospital. The transport team’s goal is to respond within 30 minutes to any request for the transport of a pediatric patient with a medical or surgical emergency. Our four ambulances are specially equipped to provide critical care and advanced life support to pediatric patients. Our team consists of registered nurses, paramedics and respiratory therapists – all with pediatric critical care experience and training. For children under the age of 10 who require helicopter transport, we collaborate with MedFlight. If you have questions or to arrange transportation 24/7, call 866.262.4247. 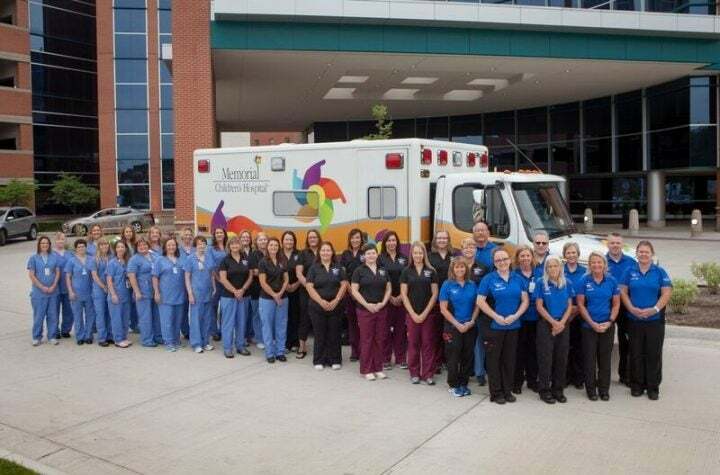 The Newborn Intensive Care Unit (NICU) Transport Team at Beacon Children’s Hospital of South Bend specializes in the transport of critically ill newborns. Specially equipped ambulances and the MedFlight helicopter transport newborns from Northern Indiana and Southwestern Michigan referral hospitals. To speak with a neonatologist for consultation or to arrange NICU transport services, call 800.477.1547.